The mission of Ethnomusic, Inc. is to increase awareness of global cultures in order to help people reconnect with their musical roots and provide a model of creative thinking. This educational philosophy is grounded in the beliefs that (1) all people have musical abilities, and (2) often the making and playing of a simple musical instrument can rekindle a connection to one's artistic expression. Ethnomusic, Inc. was founded in 1974. After 10 years of studying and performing various types of world music as a professional drummer at the University of California at Los Angeles (UCLA), Craig Woodson saw the need to produce musical instruments and educational material for educators and professionals. With an M.A. degree in music specializing in ethnomusicology (1973) he wanted to use his understanding and appreciation of world musical cultures to benefit society by turning theory into practice. After two years of work and experimentation with technology, Ethnomusic, Inc. had a product and became incorporated in Los Angeles. He began by making educational kits comprised of instruments, printed material and audio tapes. Woodson's first educational kit, APEX, or African Percussion EXperience was about percussion from Ghana based on his work with mentor, Kwasi Badu, Asante master drummer and dancer. The APEX kit consisted of three sizes of dondos--hourglass-shaped pressure drums (also 'talking drum'); three sizes of adawias--slit gongs; a booklet that included transcriptions of Badu's drumming; and an audio tape of Badu's performance. In 1976, Woodson applied for and received 12 U.S. utility patents on his drumhead designs. That year he began to market this educational package at the main music industry show called NAMM, then known as the National Association of Music Merchants. Being the first of its kind on the market, sales increased and Woodson moved the operation out of his garage into to a manufacturing facility. Move to Ghana. In the fall of 1977 as sales were increasing, Woodson was visited by his former Professor at UCLA, Kwabena Nketia, the legendary African musicologist from Ghana. Seeing Woodson's progress on manufacturing Ghanaian instruments, Nketia invited him to West Africa to review an instrument-making research project; this was an offer that could not be turned down. At the conclusion of this one-month trip to Ghana in October, Nketia offered Woodson the position of directing this research. Later named the Musical Instrument Technology Workshop (MITW), the research and development facility was located at the Center for Cultural Studies (CCS), University of Science and Technology (UST) in Kumasi, Ghana. This unique project promised to be an unparalleled opportunity to help build music education in Africa. As such it was to become a tremendously positive, life-changing experience for Woodson. At the suggestion of Prof. Nketia, Woodson immediately began the coursework to finish his Ph.D. at UCLA before moving to Ghana. The courses took two-years (1978-1979) and of course, this new commitment meant that his young company, Ethnomusic, Inc. would have to wait to continue operation. In June of 1979, Woodson received his C.Ph. becoming a candidate for the Ph.D. in the Music Department at UCLA. In November 1979, Woodson moved to Kumasi, Ghana and began his position as Senior Research Fellow and Director of MITW. 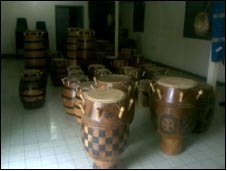 There were four primary tasks: (1) conduct research on instruments and musical traditions that have been neglected and were in danger of disappearing; (2) identify master musicians and instrument makers to help with the project; (3) develop prototypes for African sets of instruments that would be used in over 10,000 schools in that country; and (4) begin prototype production of these sets. This work continued for two years and extended to all areas of the country. The primary method was the use of 'appropriate technology,' that is, locally available tools and materials that could achieve the goals in the most direct way. One instrument that was found to be rarely made or heard was the seperewa, a harp-lute. One of the few living master seperewa makers and players, Kwaku Firi, was discovered in the small town of Fiama and invited to teach at the Center for Cultural Studies; there he helped develop a prototype instrument for use in schools. With the assistance of master musician Koo Nimo (Daniel Amponsah), many other musicians and instrument makers became involved in the project. By 1981, the Musical Instrument Technology Workshop project had achieved its initial goals, and Woodson returned to the U.S. to complete his doctoral dissertation. Based on his work with the Asantehene's (chief of the Asante people) master drum maker Kwasi Boateng and master drummer Okyerema Pong, Woodson wrote on the art and technology of the Atumpan, the talking drums of the Asante people. He also completed an article on MITW titled 'Appropriate Technology in the Construction of Traditional African Musical Instruments in Ghana." Published in "Studies in African Music," Selected Reports in Ethnomusicology, (Volume 5, 1984, UCLA), he described the research and development that had taken place through his two years' work in Ghana as Director of MITW. During his absence from the Workshop, the lathe was delivered to MITW and set up for use. Crosby Boamah, Director of CCS, found additional space on the campus for an instrument showroom and hired additional staff for the Workshop. In November 1983, Dr. Woodson returned to Ghana, now hired as Acting Director of the Center for Cultural Studies and Director of MITW. During this trip, he set up the lathe for research and production, and provided leadership training for personnel to enable the Workshop to continue after his scheduled departure in late 1984. With this in place and a new Director appointed for CCS, he was able to return to the U.S. in December 1984. The MITW has continued to operate successfully over the past several decades and currently produces drums and other instruments for sale. Ethnomusic, Inc. Consultancy. Back in California in 1985, Dr. Woodson realized that over the past decade since beginning Ethnomusic, many other companies had begun producing or importing of world musical instruments for the U.S. market. As a result he converted the business from manufacturing to consulting, specializing in the design of simple musical instrument kits to be made by students and teachers during classroom workshops. This idea came primarily as a result of two lessons learned, one in Ghana and one from his youth. During his work in Kumasi, Woodson used appropriate technology, achieving a goal using the most direct way possible with easily accessible tools and materials. As a teenager, he greatly enjoyed the actual hands-on experience of building, playing and owning a simple musical instrument. These experiences resulted in the design of a few easy-to-make instruments based on instruments from around the world. They became the basis of his school assemblies and teacher workshops (see Student Programs and Teacher Programs). The primary way these instruments became known and used by young people and adults was through his school assembly called 'A World Orchestra You Can Build,' originally called 'Music for Free,' briefly presented first in 1982. This program expanded with a successful audition for the Los Angeles County Music Center Education Division's ï¿½Music Center On Tourï¿½ program in 1985. Woodson began getting bookings for his school assembly across the L.A. area. The World Orchestra assembly, still a mainstay in his work, presents 12 instruments made with homemade technology, the four musical families of sound, and four global cultural areas. Along with school presentations, Dr. Woodson began teaching college courses on world music, African music, and instrument making at Chapman College, California State University at Los Angeles, and California State Polytechnic University at Pomona. Sankofa Approach. In his approach, he used a concept from his work in Ghana called Sankofa, meaning that one should remember the past before moving forward. Applying this idea to his work, Dr. Woodson realized that humanity's first connection to music was likely to have been a unification of the three main experiences in music: instrument maker, performer/composer, and listener. Early in human evolution, individuals made their own instrument, played and 'composed' their own music and were the primary listeners of the music. As time passed, these three disciplines became isolated experiences by separate groups. The idea of having people of all ages make, play/compose and listen to their own music would begin to recapture that three-in-one or 'composite' experience. Building on the concept of 'composites,' Dr. Woodson began to design composite musical instruments, that is, one that is capable of producing music from several sound families, for example a drum that is also a horn and string instrument. The most successful of his composites is the 'Drumpet,' a combination drum, trumpet, scraper, and string sound. In addition to being easy to make and inexpensive, it is also made with recyclable materials and represents instrumental ideas from Africa, Asia, Europe and the Americas. Easy to make in less than ten minutes, this instrument is ideal for audience members in a variety of circumstances, for instance student workshops and college courses for teachers. Since his invention of the Drumpet, he has added many other types of composites (listed under Products). Deciding to raise his young family in a rural setting away from Los Angeles, Woodson moved in 1989 to a small town outside of Cleveland, Ohio, and set up business in Chagrin Falls. His school assemblies continued with frequent trips to Los Angeles, but expanded in the Midwest through work with Young Audiences, Inc., a national arts service organization, and the Greater Columbus Arts Council in Ohio. Play-Along Concerts. 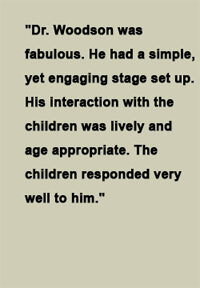 Within the first year of his arrival, Dr. Woodson was contacted by Charles Calmer, Education Director of the Cleveland Orchestra, to do what Calmer called a 'play-along' concert with the Orchestra. For this program, Calmer asked Steve Smith, a graduate student in composition, to compose a piece for audience participation. The idea was to have all young people attending the family concert make an instrument and play along with the Orchestra during that piece under Dr. Woodson's leadership. This was a perfect fit for Dr. Woodson's idea of composite experiences: listener, maker, and performer, all at one event. These first these successful concerts took place in 1991 at Severance Hall. 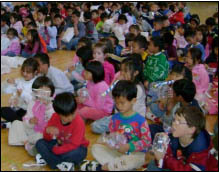 The launch of Woodson's play-along concerts was followed by a series of 10 play-along concerts with the National Symphony Orchestra at the Kennedy Center in Washington, D.C. with 25,000 students in 1993. Many large orchestras have had Dr. Woodson's educational concerts including the Los Angeles Philharmonic and the Columbus Symphony Orchestra. There are now several symphonic compositions for his instruments including 'Concerto for Drumpet' by Eric Benjamin [see Concerts - Orchestras]. In 1995 he began a long relationship with the Kronos Quartet conducting play-along concerts both in the U.S. and in Europe, events which continue to be booked today, including Carnegie Hall. Beginning with the Kronos concerts Dr. Woodson started using his composite Drumpet for play-along concerts [see Concerts - Kronos]. NASA and Mars. In 1999 the National Endowment for the Arts, on behalf of NASA, contacted Ethnomusic, Inc. to design instruments that would be shown in an educational video called "Windows on Mars" about how humans might take the arts on a future trip to Mars. Completed in 2000 this video was mailed to all 120,000 elementary schools across the United States. 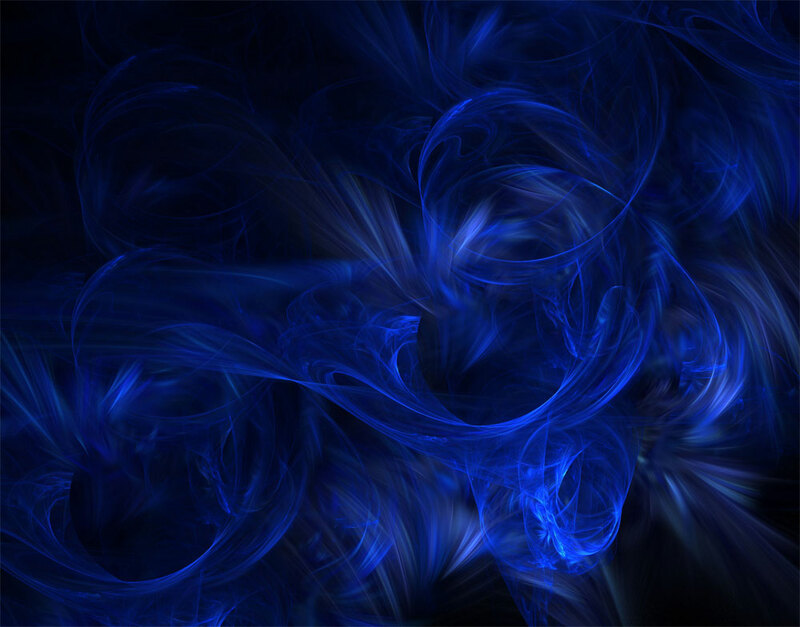 Set as a news broadcast, the main idea was to connect science to the Arts in order to begin a discussion about space travel. Teacher Workshops. In the early 1990's, Dr. Woodson began teaching weeklong summer graduate level workshops for teachers. These instrument making courses began at Kent State and Xavier Universities both in Ohio, and now extend around the U.S. and overseas. Rock and Roll. With considerable background as a rock and roll performer, Dr. Woodson was hired in 2001 first as a consultant and then as Senior Director of Education at Cleveland's Rock and Roll Hall of Fame and Museum. From 2001-2003, over 25,000 students per year came to educational programs of his design at the Rock Hall. He also designed and conducted teacher workshops for the Museum. Roots of Rhythm. In 2004 he returned to run his company Ethnomusic, Inc. consulting for two years with A Cultural Exchange, and writing an Afrocentric curriculum for East Cleveland schools. In March of that year, David Levine of the Percussion Marketing Council (PMC), and a longtime colleague, asked Dr. Woodson to write a world drumming curriculum, Roots of Rhythm (ROR). In cooperation with the International House of Blues Foundation and NAMM, the International Music Products Association, the ROR curriculum became a pioneering work, not only because of its practical approach and links to the broad academic content standards, but also because it was (1) written for both music and non-music teachers and (2) offered free of charge to download at www.RootsofRhythm.net. 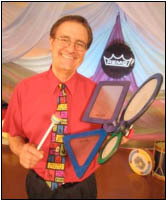 His ROR workshops for teachers taught through Ethnomusic, Inc. were supported by NAMM for the first two years beginning in 2006. They continue today with new material regularly being added to the 16-chapter curriculum; the free tuition workshops are currently sponsored by a grant from NAMM to PMC (see Teacher Workshops). 2005 Woodson with Handle-Leg Connector invention for Remo, Inc.
Remo, Inc. Dr. Woodson has had a long association with the Remo drum company beginning in the early 1970's. His input as a consultant in the 1990's helped with the design of several instruments including the Remo djembes, Tubanos, and Sound Shapes. In 2004, as a consultant, Woodson invented a connection system for Remo, called Handle-Leg Connectors, in order to enable customers to join Sound Shapes together in many creative ways. Available through several online sites, these Remo products are now in use across the country and overseas. Humanitarian Work. 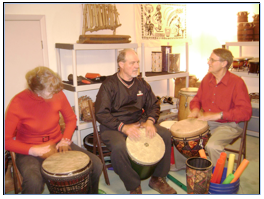 In 2008 Dr. Woodson was invited by music therapist Christine Stevens to conduct drumming and drum making workshops in Sulaymānīyah, a city in northeastern Iraq. Along with the videographer, the three-member team worked with Kurdistan Save the Children and the Children's Rehabilitation Center conducting drum circles and instrument making. The focus of this project, now named 'Ashti Drum' (Peace Drum) by the Iraqis, brought techniques for leadership training and community-building to people who had suffered under the prior regime. After this successful project, the team was invited back in 2009, and future trips are being planned. In early 2009, Dr. Woodson was invited to join a team of American artists for a three-week U.S. State Department program in Yogyakarta, Java in Indonesia. His part of the program was to bring drumming and instrument making to earthquake victims in the Bantul region. This residency culminated with a performance by middle school students playing their homemade instruments. Drums of Humanity. As a result of his work and collaboration with Stevens, Dr. Woodson began a 501(c)(3) non-profit organization called Drums of Humanity. With funds raised though this NGO, there will be greater opportunities to bring music and instrument making to those recovering from war and natural disaster. Dr. Woodson’s most recent DOH project is working with American Veterans and refugees in the Ohio area. Today. Currently, Ethnomusic, Inc. has expanded as a consultancy to include five types of assemblies and several types of student workshops along with teacher workshops presented across the U.S. and overseas (see Student Programs and Teacher Workshops). Dr. Woodson continues to pursue his original goal of reconnecting people to their cultural heritage, and providing opportunities for musical expression through the making of simple musical instruments for a more peaceful world.